Designed for runners, by runners: The ASICS Gel-Kayano 25 Running Shoe provides superior comfort and unparalleled support for any run. Developed and refined for over 25 years, the ASICS Gel-Kayano 25 Running Shoe is the ultimate running shoe designed to go the distance. 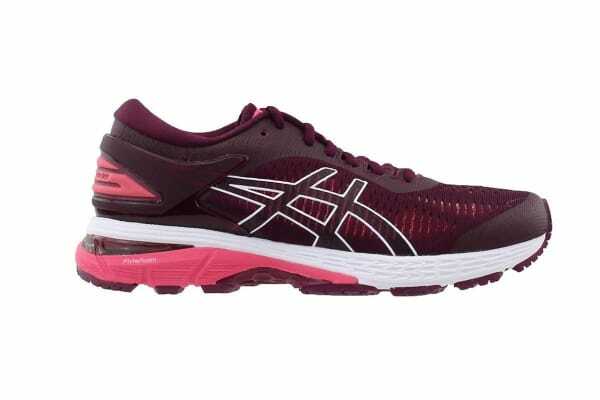 The ASICS Gel-Kayano 25 Running Shoe’s dual-layer Jacquard mesh hugs the foot while the DuoMax, Flytefoam and gel system work in synergy to provide utmost stability and comfort over any running distance. The support system of the shoe encompasses heel clutches, internal support liners and guidance lines, making it perfect for overpronators or runners who are seeking premium support and shock protection.